All the hype surrounding Ed Oliver of University of Houston as the top-ranked defensive lineman prospect for next year’s NFL Draft vanished over the weekend. 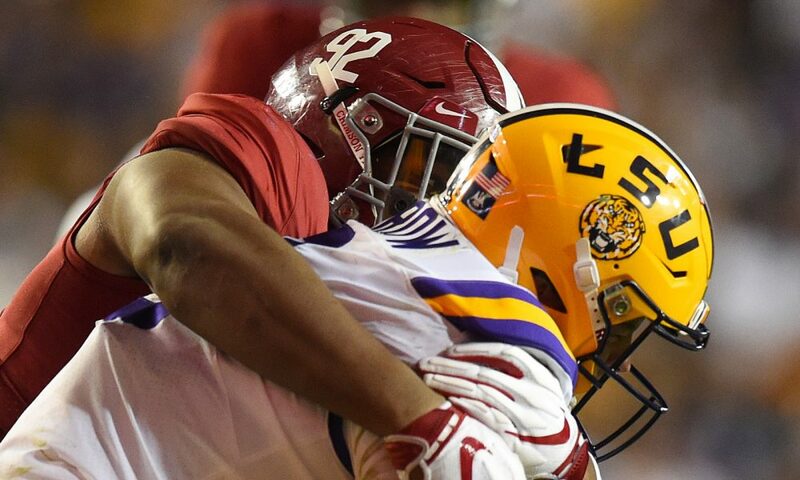 Quinnen Williams is a grown man and he used Tiger Stadium in Baton Rouge, La., to show National Football League scouts that he means business. Nick Saban coached two defensive tackles that were under 300 pounds in his 12 seasons at Alabama; however, both guys proved that technique and effort outweighs size and talent every time. At 6-foot-4 and 295 pounds, the Birmingham native was tabbed by his former teammate – Jonathan Allen – to be the next “physical freak” on defense for the Crimson Tide. Williams has proved Allen right all season, but especially last week at Death Valley as he pummeled Tigers’ quarterback Joe Burrow and stuffed LSU’s rushing attack. As a first-year starter, he led Alabama in tackles (10) and collected 3.5 tackles for loss with 2.5 sacks in the program’s 29-0 dismantling victory over head coach Ed Orgeron, the Tigers and its fan base. LSU’s offensive line was helpless against the former four-star, seeing how Williams helped render its production to 196 total yards and 12 yards rushing. Burrow completed 51.4 percent of his throws (18 of 35) and just 184 passing yards with one interception. Not only did his performance completely strip away the power of Tiger Stadium, but it also earned Williams honors from Alabama’s coaching staff and Southeastern Conference for player of the week. He would also be recognized on a national scale from Walter Camp Football Foundation, as Williams became the 14th player in Tide history since 2004 to earn a weekly honor from the organization. After not knowing who would replace the departed Da’Ron Payne, Williams has etched his name to be a potential All-American, all-conference and first-round pick athlete. He is third on the team in tackles (43) and has 12 tackles for loss (team-high) with four sacks through nine regular season games. A few mock drafts already have Williams listed as a top-five pick, but he would like to end this season with a national championship before moving on.